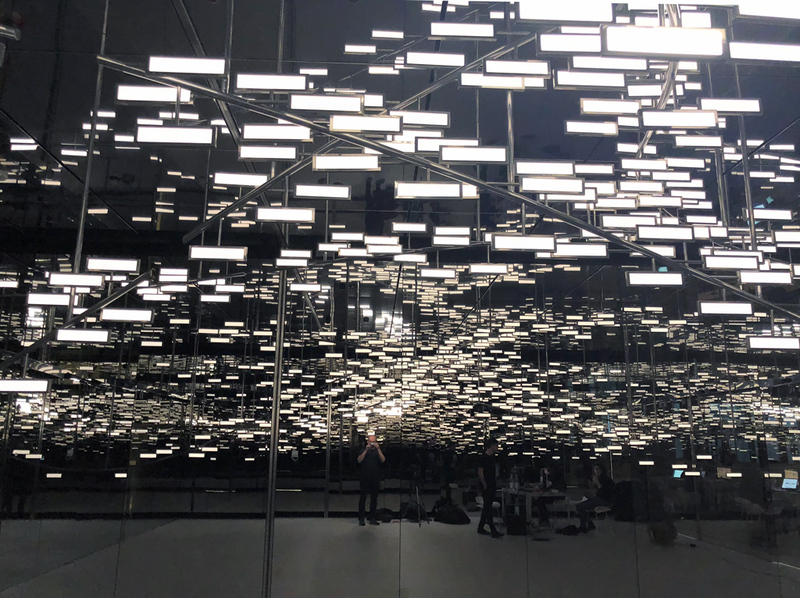 For the Merck Innovation Center in Darmstadt Tamschick Media+Space invited iart to technically design The Merck Oled Light Cloud with all its interactive audio visual aspects. There are 288 OLEDs attached to 4 aluminium splines. In total there are around 80 different scenes each with different light and audio designs. 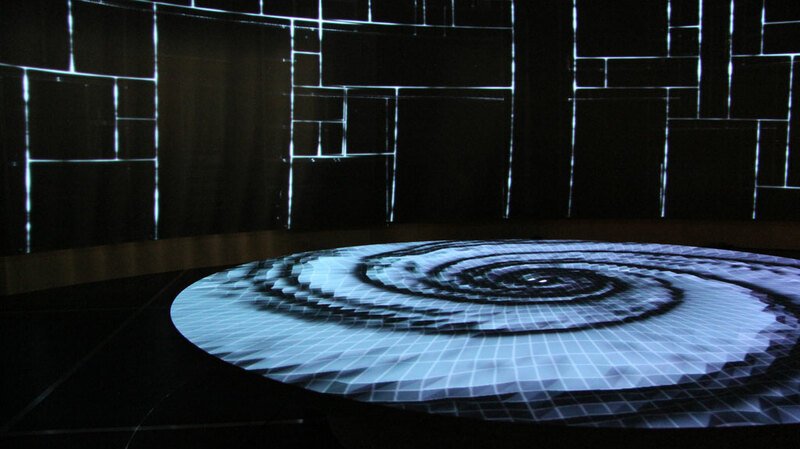 The light design mostly uses generative realtime effects and shaders. Parameters of these effects are often adjusted in realtime by a realtime audio FFT analysis. Sometimes these parameteres are adjusted by the sensors in the ceiling, or by other data coming from the audio pc’s scenes. I was responsible to program an editor with a (live) preview. In this editor it was possible to choose different effect generatrors, combine them, and attach its parameter to realtime sensor inputs, FFT analysis and other data. The created scene with all its parameters and sensor linkings can be saved and reopened. Along with FOCUS4 and Martin Zrcek I worked on the Porsche's special exhibion "Faszination Sportwagen - The Future of Performance" at the VW Drive Forum Berlin. 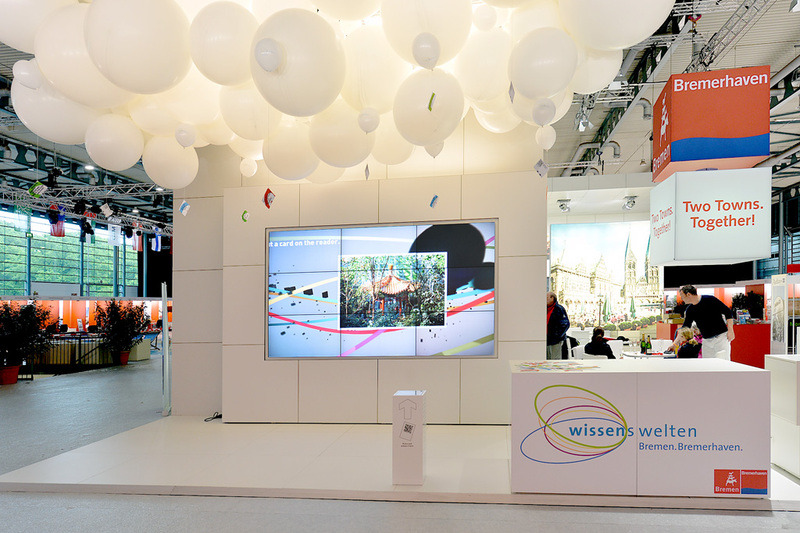 I did the lead programming of 14 different touchscreens (5 of them were built with a very similar structure and just different content), one LED Wall with interactive content as well as the underlying database structure. 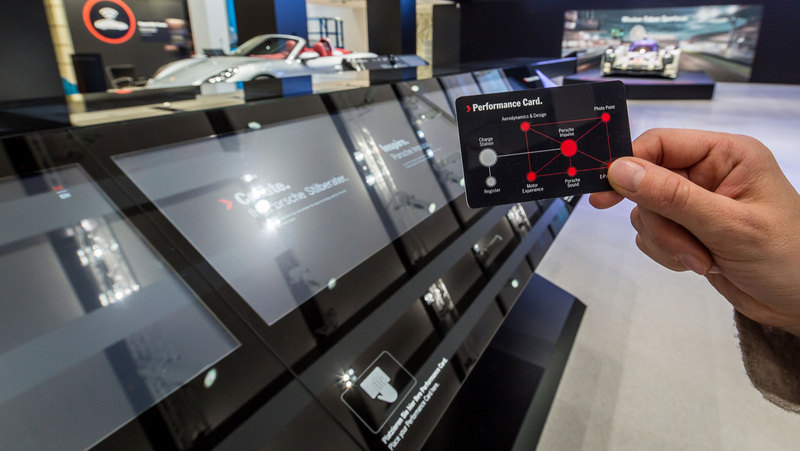 Core element of the exhibtion was a so called "Performance Card", basically a RFID chip. The "Performance Card" one the hand let's the user keep track of all the exhibits that he or she visited, whereas on the other hand the visitor had the possibility to store personal information on the card, which lets him or her using an auto fill function found on many exhibits. 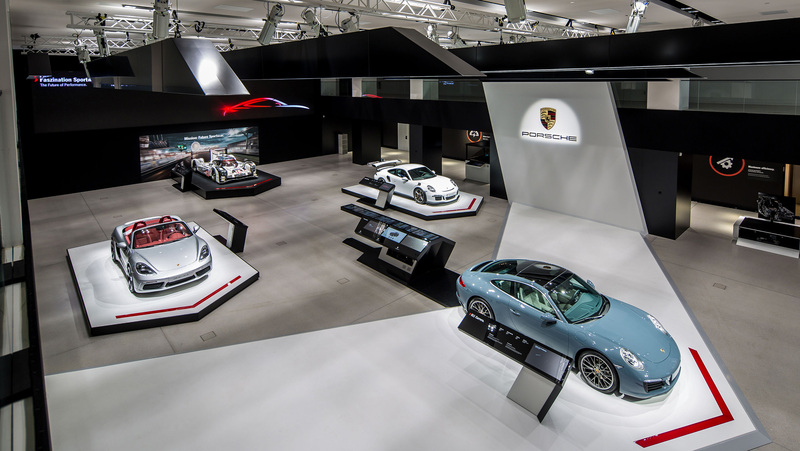 These very exhibits were all about designing the visitors individual Porsche experience, whereas technically they all came with a feature of sending the visitors individual exhibit result via email or share it on the LED wall. The exhibitions highlight was certainly the Foto Point, where the visitor could take a picture (with a proper DSLR camera) of him or her sitting in a cabriolet, and using the features mentioned above. 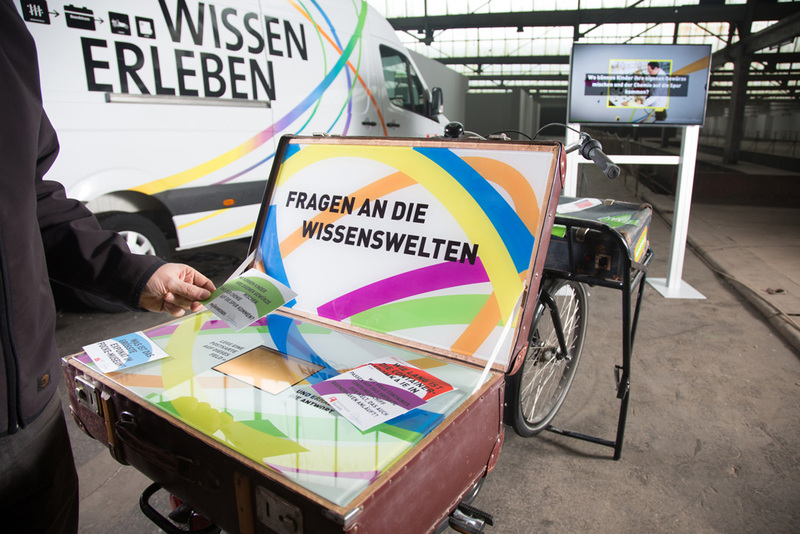 Beside these interactive exhibits, there were the so called "Fahrzeugbeisteller", basically a touchscreen standing right next to car, letting the visitor gather information about this very specific car being at display. Liganova, being responsible for the communication design, made a beautiful documentation which gives a good overall impression of the exhibition. Along with the boys from NSYNK I worked on the Mercedes Benz Show IAA 2015 of the biannual IAA car trade show. 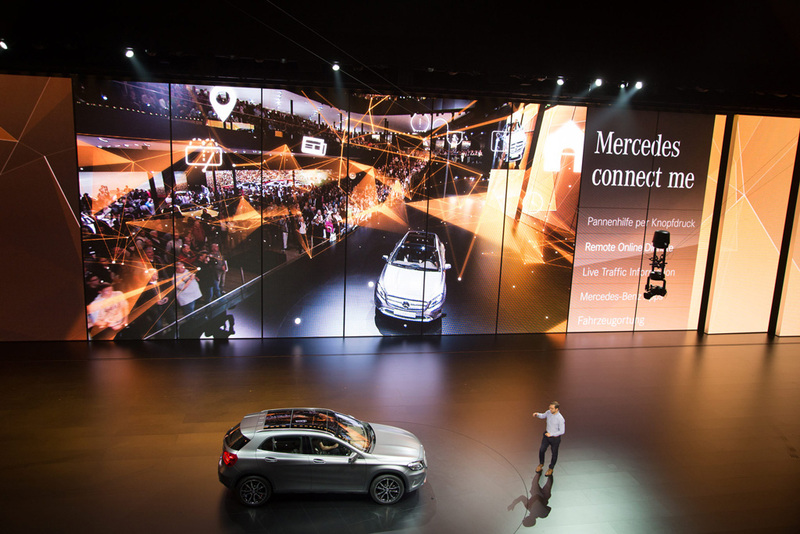 NSYNK's core team developed the concept and the design for the augmented reality part of the Mercedes Benz show. 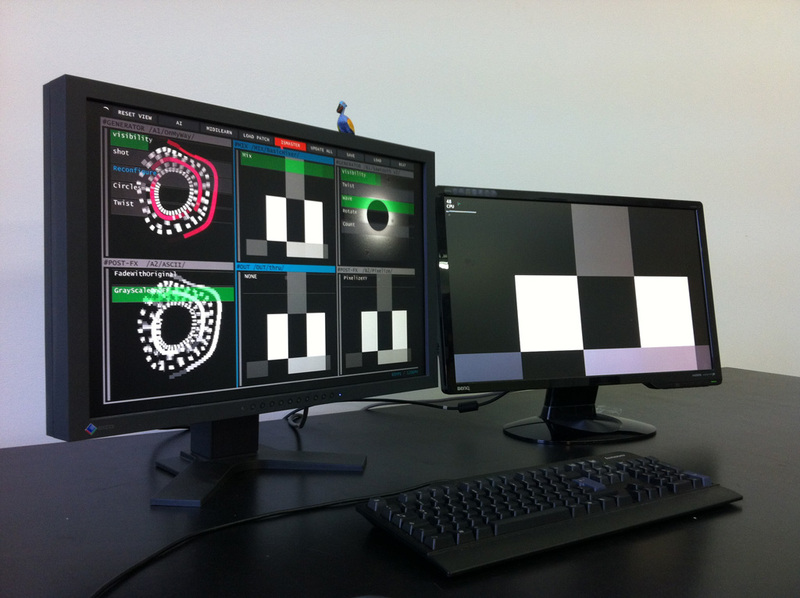 Thus a close collaboration with spidercam arised to meet all the technical needs to create an interface to our favourite programming language vvvv. Apart from that we were also responsible for the video playback of the LED wall. I partially worked on the software development as well, though my mayor tasks were to take care of the whole hardware systems design, the video playback (on the sofware as well as on the hardeware side), and finally I was also responsible for the show's incorporation into NSYNK's IRIS media server system. For m-box bewegtbild along with Johannes Schmidt we programmed Telekom's show of the annual Dialog Day 2014. My role was to program the 5k video playback with an additional realtime effect layer as well as the customisation of the m-box' m-wall media server towards a quite user friendly show control software. TING is a participative installation which has been designed by TAMSCHICK MEDIA+SPACE. Along with Julien Vuillet and Abraham Manzanares I did the programming, as well as quite a bit of the final design. For my friends whatif who invented this beautiful modular qr-reading system, I programmed, technically supervised and designed an application that interactively displays information about tourism in Bremen. 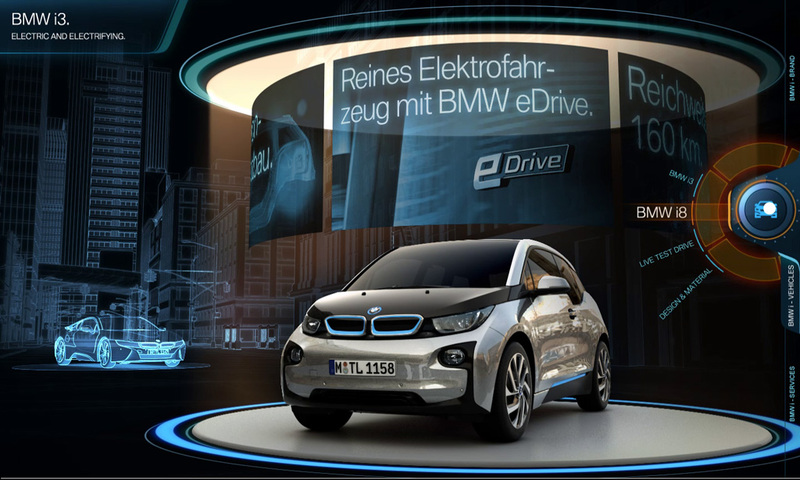 Together with Ingolf Heinsch from NSYNK, I programmed the presentation tool of the BMW i Lounge. 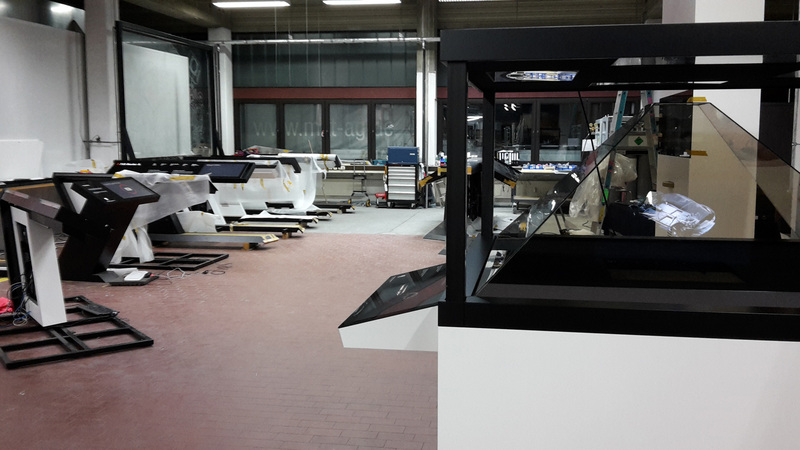 With this Multitouch table, the moderater presented the new i-series cars of BMW. 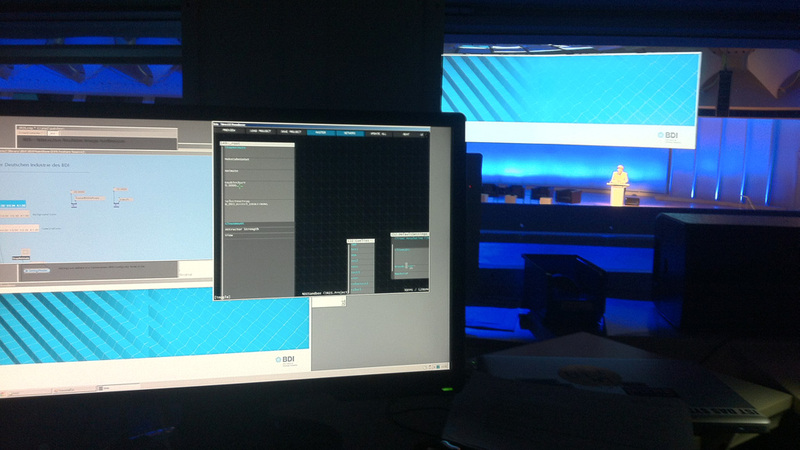 I was commisioned by NSYNK to program and design generative live Key Visuals for BDI - Tag der Deutschen Industrie. It was self-evident to use IRIS. Speakers amongst others were Dr. Angela Merkel, Mario Draghi, Dr. Philipp Rösler, etc. For the installation Gateway 4 cameras at four stations of the „monolith“ read QR codes, printed on postcards. At the ceiling projection, each postcard triggered a corresponding animation containing slideshows and videos. In addition, the reading activity has been reflected in several individually driven EL wires. With more than 10,000 visitors this exhibition was a record for the Rathaushalle Bremen. Togehter with Eno Henze and Ingolf Heinsch we released IRIS 1.0, a interactive realtime image synthesizer, entirely written in vvvv. 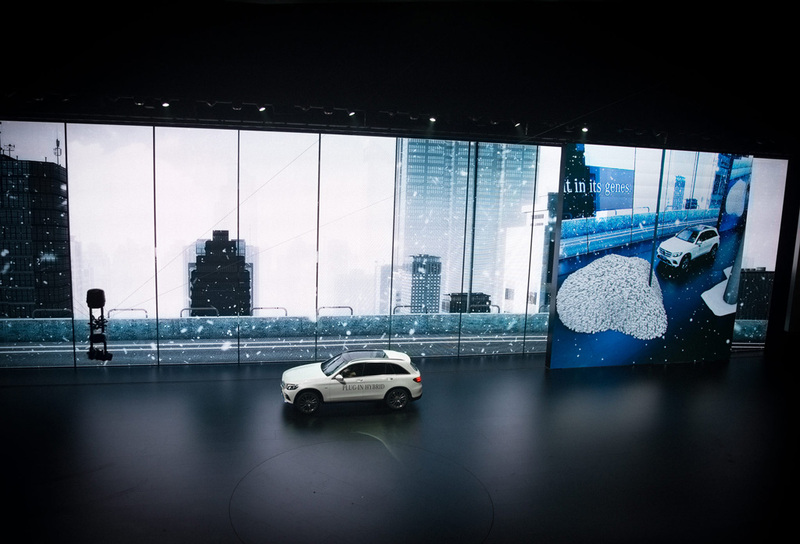 For Visual Drugstore I was commissioned to develop the facade mapping for the 125 years celebration of Mercedes Benz. 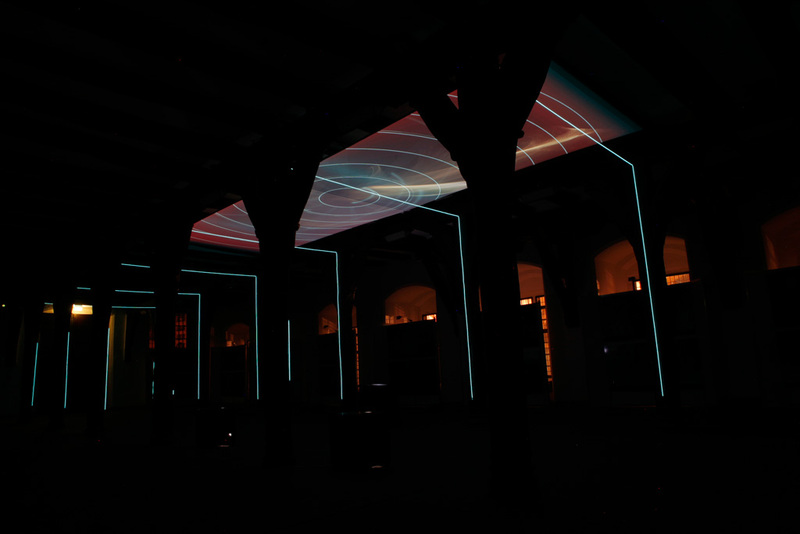 We projected on both sides of the former headquarters of Daimler AG whereas for each side we used 16 projectors covering up an area of 70 x 70 meters. Our software was responsible to deliver a homogeneously mapped projection with synchronized video playback whereas we used one PC to feed two projectors. Designed by Visual Drugstore the sculpture for the timewarp rave consisted of 13 cubes each with an edge length of 1.5 meters. On the one hand, I was responsible for the programming as well as for the mapping on site. On the other hand I had to supply the VJ with additional real time generated content. 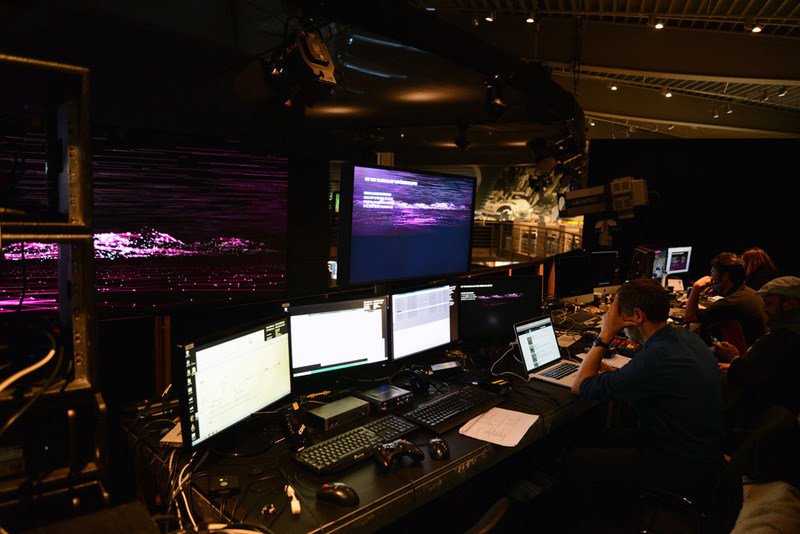 We had 8 Computers as well as 8 projectors and two laptops running «Vertigo» (now IRIS). With around 60,000 spectators and a continuous operation of 15 hours, I guess we scored a record. My name is Ivo Schüssler and I work as a Digital Media System Designer at iart AG in Basel. Originally coming from the arts, professionally I gradually have moved to the technical side. Thus I believe I am not only able to develop complex media systems, I can also design them and understand the creative processes behind it. 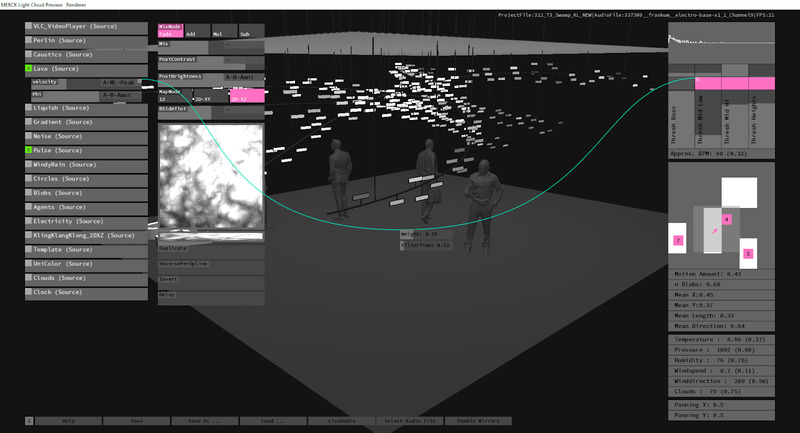 In this role my favourite tool is surely vvvv though I started to like Unity3D as well. When I am working as an artist, my work moves within the polarizing field of naturalness and artificiality or actuality and virtuality. I analyze the nature of the digital image as well as the virtuality of the materiality. Some results of my research can be seen here. Besides all that I am also very interested in furniture design. Essentially I am crazy about many things from the bauhaus era and especially in love with scandinavian design.